The Lupus Association of Tasmania Inc. 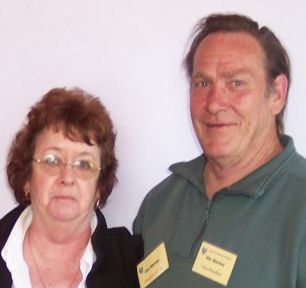 The Lupus Association of Tasmania is a self-funded non-profit organisation served by volunteers. By educating and informing patients and their families. By providing support in the form of encouragement and service. By promoting and supporting research designed to discover the cause of, and a cure for, lupus and related auto-immune diseases. For information on Lupus, Sjögren’s syndrome, Fibromyalgia syndrome, and Scleroderma, please click here. To make a donation and support your local organisation and research, please click here. To contact the Lupus Association of Tasmania, please click here. A public lecture was held during Lupus Awareness Month, featuring leading researcher Dr Marline Squance. She was featured in the Examiner, the article is here. Hooray!!! We are still functioning as an Association. Thank you to Lois, Dianne, Murray and Leanne for putting up their hands, also to the commit- tee, Julie, John and Cheryl, we should expect a good year. I would like to thank Colleen, Bruce, Vic and Denise for supporting me as editor of the Newsletter, over the years. They will be missed greatly as "contact points" for info about the Association. We hope they are taking a well earned "rest". We also farewelled another stalwart of the Association, Queenie Ennis, who willingly became treasurer when it looked like Bruce would have to take that on as well. We wish Queenie all the best in South Australia and hope she too, has a healthy life in Adelaide where she will be near her family. We are about to sojourn to our warmer climes, so the next newsletter will come from Queensland. 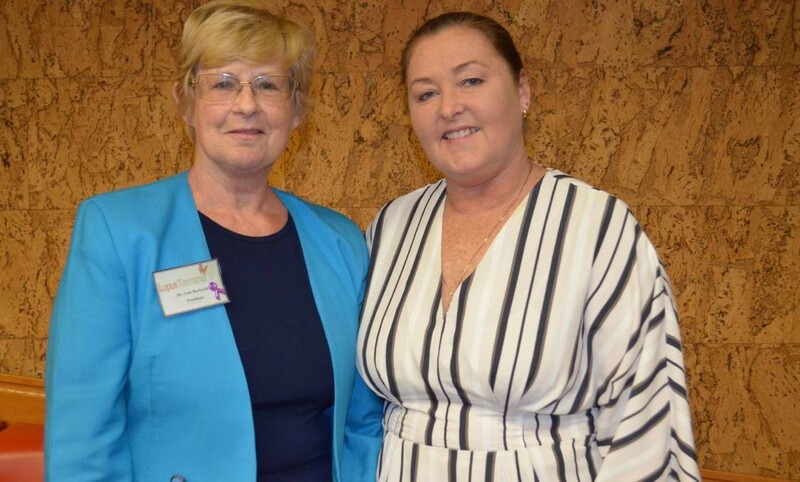 Two Southern Tasmanians attended the Lupus AGM and were very pleased that volunteers came forward to form a new committee so the Tasmanian Lupus Association can continue to exist. We greatly appreciate the generous gifts of time and energy that the new committee members have volunteered to the As- sociation. It was great to see Vic Hartas, who returned from Queensland for the meeting. We were extra pleased to hear of the marked improvement in Denise Hartas‘ health. She escaped her wheel chair and has returned to light house work and gardening. As a result of the continuation of the Lupus Association, the Southern lunch- eons will continue on the second Wednesday of every second month, at the Esus Café in Elizabeth Street, Hobart at 12 midday. These are simple social support events at which we pay for ourselves. All I need is to know you are coming so I can book the table. Contact us here. I am also pleased to share that Allyson Reedy-Mead has agreed to be assistant Southern Co-ordinator. As you know, I have several elderly relatives on the mainland who may call me away from the state at any time, for an extended period. Having Allyson as a backup is very reassuring for me. Allyson is a university student who will attend luncheons as her classes allow. Thank you Allyson for this generous gift of your time. Every one is welcome at our luncheons ..they can be their family, friends, visitors or carers. It is with great relief our Organisation has managed to secure all the positions needed to successfully operate and continue to offer support and education for people with Lupus. At the AGM, we were able to gather together a blend of old, recycled expertise of Murray, and the new I will give it a go, Leanne, and the very kind volunteer of Di Whiteley who has past experience as a club secretary and who is new to Lupus. A group of members, Julie, John, Cheryl, Edna, and Heather also rallied to help as co-ordinators, editor and committee members. Thanks to all we will stay viable and continue the work to improve the lives of people with Lupus. The Newsletter for May 2017 is available here. Please enjoy ! Thursday – 29.11.18 at Kings Meadows Health Centre, Joan Marshall Wing starting at 10.30am. Bring a plate of morning tea to share. Monday – 19.11.18 starting at 12 noon. The address is Mathers House, 108-110 Bathurst Street, Hobart. Please phone/email Heather to confirm your booking before the 19th. These meetings are the last ones for 2018. Hoping heaps of members and new members can join us at the ‘get together’ meetings to tally up the year. Our first gathering was only small but was great all the same. We met at the Fuschia Farm on Lillico straight as one of our newest members lives close by to her beautiful family owned business. Always a great feed, along with fabu- lous company makes the Fuschia Farm a favourite place to visit. Due to members present at the March get together, many were unable to at- tend in April so we voted to skip April and make a catch up day in May. We have encouraged members past and present to bring along any new mem- bers who would like to have a chat and a chin wag. We have chosen to meet the 1st Tuesday of every month (you pay for your meal). 1st August— Fuschia Farm, Lillico. 5th December— Fuschia Farm—Christmas Lunch for North West Group. We are already starting to build capacity with 2 new members at the March Luncheon with the possibility of a few more at the May lunch. Looking forward to rebuilding the North West support group so we all have people that we can connect with and call when things get us down. The Lupus Association of Tasmania Inc. now has a Support Group on the West Coast, dedicated to the support and education of people with Lupus, Scleroderma, Fibromyalgia, and all other autoimmune diseases. We meet at 11am on the first Tuesday of the month in a private area of the Empire Hotel in Queenstown, and you are invited to join us for a relaxing get-together! Please contact me on 0419724384 for more details. Our committee would like to have a support group "up and running" down the west coast of Tasmania that will support people with Lupus, Sjögren‘s, Schleroderma, Fibromyalgia and their family, carers and, friend‘s etc. There are about 30 books, video’s and tapes that are not required to stay on the reference shelves at the library any more. 1.We All Can Be Doctors Of Common sense. A Guide To Good Health And Well Being. Our group decided to continue meeting on the fourth (4th) Thursday in the month at 10.30 am at the Joan Marshall Wing, Kings Meadows Health Centre to share Morning Tea (bring a small plate of food to share). We will also occa- sionally replace our morning tea catch up with a group lunch at a nearby venue. April 27th will be a morning tea, while the next month May 25th will be a lunch meeting starting at 12.00 at the Kings Meadows Pub. Pay for yourself. Hope to see you all there. View the launch on Southern Cross, at about 13 minutes into this video. United By Our Disease - We Salute Them! 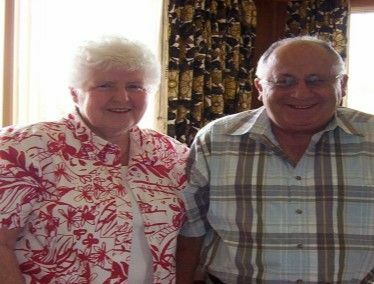 We have been most fortunate to have had two outstanding couples devote an extraordinary amount of their lives to im- proving the outcomes for people with LUPUS. On behalf of all present and past members I wish to thank Bruce and Col- leen McCormack and Vic and Denise Hartas for their out- standing work in building the Lupus Association of Tasmania. During their commitment over the years, individually and collectively they have worked on all aspects of our organiza- tion. The skill they have brought to all their roles is far reaching and enormous; President, secretary, treasurer, com- mittee member, regional co-ordinator, mentor, educator, publicists, conference and Lupus awareness week organis- ers, fundraisers research co-ordinator, political advocate, li- brary and information gather and dispenser, caterers (dishwashers), and general organisers extraordinaire. Having made this list I smile as I think that I am sure they could add a few more roles that I might have overlooked. They will certainly be missed and our supporters have rallied to fill the gap. We wish them all better health and time to enjoy retirement. Whenever you can we will still welcome your input and participation. We wish them the very best. Facebook - Are you involved ? Some people love it, and others well .... don't love it! Our first Lupus gathering was only small but was great all the same. We met at the Fuschia Farm on Lillico straight as one of our newest members lives close by to this/her beautiful family owned business. Always a great feed, along with fabulous company always makes the fuschia farm a favourite place to visit. Due to the members present at the March get together, many were unable to attend in April so we voted to skip April and make a catch up day in May. We have encouraged members past and present to bring along with any new members who would like to have a chat and a chin wag. We are already starting to build capacity with 2 new members at the March luncheon with the possibility of a few more at the May lunch. I am looking forward to rebuilding the North West Support Group so we all have people we can connect with and call when things get us down. It is my honour to serve the Lupus Association of Tasmania as its patron. The Lupus Tasmania Newsletter is published quarterly. Please find below recent newsletters. 4. Lupus Erythematosus. Handbook For Nurses. 5. The Golden Window. A Compelling Human-Inter Story. (Len Staples). (L.J. Staples Family Trust -Raratoto, Cook Islands. 7. How It Feels To Fight For Your Life. (Sean M. Hogan, A.C.S.W.) (1977). 9. Lonely Husbands, Lonely Wives. 10. The Chronic Pain Control Workbook. 11. The Relaxation & Stress Reduction Workbook. 12. Thoughts & Feelings. The Art Of Cognitive Stress Intervention. 13. The Sun Is My Enemy. 15. Lupus - A Wolf In Sheep's Clothing. (Copyright: 1985) (Reprinted - 1990) (ISBN: 0 - 85924 -369 9). 16. Victorian Lupus Association - Lupus Information Folder. 17. The Yeast Connection - A Medical Breakthrough. (William G. Crook, M.D.) (Professional Books). 18. A Home Reference: Your Thyroid. (ISBN: 0 - 345 - 46649 - 7). 19. The Joy Of Stress. (Dr. Peter Hanson). (Pam Book - London; Sydney; Auckland). (1st. Publication - 1986) (ISBN: 0 - 330 - 30369 - 4). 20. A Primer On Lupus Erythematosus. (Copyright: - 1986) (ISBN: 0-9608660 - 2 - 7). 24. Coping With Depression In A Chronic Illness. 25. Scleroderma - Problems And Solutions. 26. Lupus - The Disease With 1000 Faces. 28. Tape: Lupus And The Kidneys. 30. Learning And Living With Scleroderma and Lupus. The Lupus Association of Tasmania inc. does not recommend or endorse any treatments, procedures or drugs. Any information is intended to keep you informed and we recommend you discuss any information mentioned with your doctor. © 2019 Lupus Association of Tasmania Inc.